The Georgia House of Representatives passed House Resolution 394 honoring the law firm of Montlick and Associates for providing efficient, effective and dedicated services to the citizens of Georgia. The resolution recognizes the law firm for providing high quality legal services to accident victims, delivered with personal attention and compassion since the Atlanta-based law firm was founded nearly 30 years ago; as well as the contributions of Montlick and Associates to the community through its public service programs promoting family safety, injury prevention and support of U.S. troops. 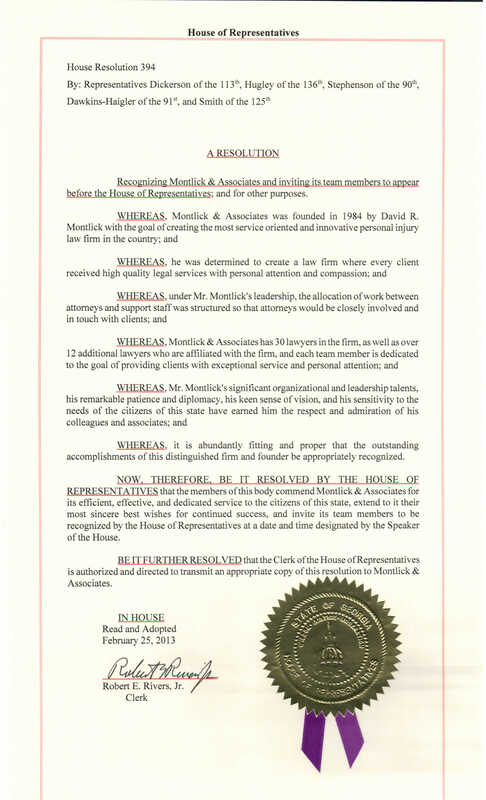 Georgia Personal Injury Attorneys Montlick & Associates is recognized by the Georgia House of Representatives for providing efficient, effective and dedicated services to the citizens of Georgia. Our lawyers and team members work very hard to provide exceptional service to every client; and our firm has been committed to giving back to the community because it is important and it is the right thing to do. 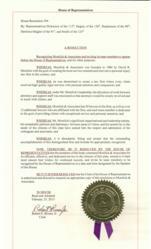 The Georgia House of Representatives passed House Resolution 394 honoring Montlick & Associates, Georgia Personal Injury Attorneys, for providing efficient, effective and dedicated services to the citizens of Georgia. Clerk of the House, Robert Rivers Jr., read and adopted the resolution on the House floor Tuesday morning. The resolution recognizes the law firm for providing high quality legal services to accident victims, delivered with personal attention and compassion, since the Atlanta-based law firm was founded in 1984. The resolution also recognizes Montlick and Associates for their commitment to family safety, injury prevention and support of U.S. troops through the firms’ extensive community service programs. State Representatives Pam Dickerson and Carolyn Hugley also honored the Georgia law firm before the House of Representatives at the State Capitol for their exemplary efforts to protect children from bullying. In accepting the honor on behalf of David Montlick and Montlick & Associates, Melinda Jeffress, the firm’s Director of Community Programs, spoke of the firm’s pride in partnering with Children without a Voice, USA as the founding sponsor of the Ambassadors for Kids Club (A4K), a national anti-bullying program. Over the past year, the firm has supported A4K in carrying out its mission to prevent and stop bullying and other forms of child abuse in Georgia schools and communities, as well as across the country. In addition to recognizing the firm for their work with the Ambassadors for Kids Club, the resolution commends Montlick & Associates for their overall dedication to protecting Georgia citizens. Over the years, the firm has televised thousands of special “Tribute to Our Troops” messages, in addition to running their public service messages intended to help keep families safe by providing them with important tips to help prevent injuries. To view the special messages and to learn more about each of Montlick & Associates' programs visit the firm’s website at Montlick.com. Montlick.com provides a wealth of helpful resources including safety videos, free downloadable safety materials, legal help videos, as well as a 24/7 live online chat and a free case evaluation form. The Georgia Personal Injury Attorneys at Montlick & Associates have been helping families in Georgia and throughout the Southeast since 1984. The firm’s practice is focused in the area of personal injury law, and helping injured people get the compensation they deserve. The firm has a long history of extensive public service programs, with the main focuses being helping families prevent injuries, and supporting our troops. The firm was named the "Most Patriotic Business of 2011" by the Association of the United States Army in Atlanta for its efforts to support the troops, and its CEO David R. Montlick received a Patriotism Award in 2012 for the Southeast. To learn more about Montlick & Associates visit http://www.montlick.com. Montlick & Associates "Don't Drink & Drive" Campaign is now in its 30th year. The firm was recently recognized for "Exemplary" service by the GA House of Representatives. Montlick.comWith a combination of television messages and billboards, Georgia Auto Accident Attorneys Montlick & Associates' "Don't Drink & Drive" public service campaign was started in 1984. For more information visit Montlick.com The Montlick & Associates "Athlete of the Year" recognizes student athletes each week during the football season who excel both on and off the field. montlick.comIn honor of its Athlete of the Year, Montlick & Associates, Georgia Personal Injury Attorneys, donates $5000 to the winner's high school to help in providing an academic environment in which students can prosper and achieve their potential. 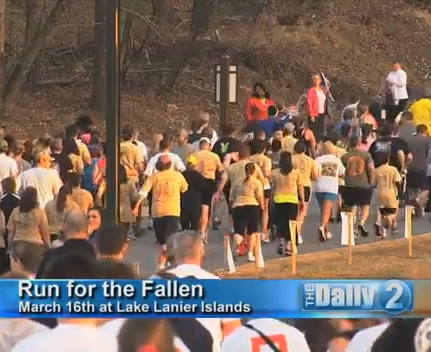 Run for the Fallen road race sponsored by Montlick and Associates to honor those brave men and women who have made the ultimate sacrifice to protect our freedom. We will never forget. montlick.com Since 2009 Montlick & Associates has been airing public service messages on television throughout Georgia in an effort to help reduce the number of injuries caused by people texting while driving.As part of its 30 year commitment to family safety and helping families prevent injuries, Montlick & Associates, Georgia Auto Accident Lawyers' Don't Text & Drive Campaign, now in its 5th year, includes outdoor billboards and television messages. Georgia Personal Injury Lawyers Montlick & Associates' Family Safety public service program includes a weekly two minute segment on ABC news in Atlanta.With over 100 topics, videos and downloadable materials, Montlick & Associates' Family Safety program, featuring our Family Safety Advocate on ABC News is designed to help your family prevent injuries. Access to this information is free at montlick.com. Georgia Personal Injury Attorneys Montlick & Associates are the founding sponsor of the Ambassador for Kids Club National Anti-bullying program. visit montlick.com/a4kMontlick & Associates, Georgia Accident Attorneys was recently recognized by the Georgia House of Representatives for the firms 30 years of efficient, effective and dedicated services to the citizens of Georgia, & extensive community service. montlick.com Montlick & Associates, Georgia Personal Injury Attorneys Booster Seat /Car Seat Campaign involves television messages and billboards.Montlick & Associates, Georgia Auto Accident Attorneys, Booster Seat/Car Seat Public Service Campaign promotes greater awareness & compliance with Georgia law. montlick.com Georgia Personal Injury Attorneys Montlick & Associates honors and remembers the brave men and women who made the ultimate sacrifice to protect our freedom. Montlick.com/SupportingOurTroopsMontlick & Associates was named the Most Patriotic Business of 2011 by the Association of the United States Army in 2011 for its ongoing commitment to supporting our troops and their families. For more information visit Montlick.com Montlick & Associates, is proud to partner with the Safe America Foundation as part of our commitment to family safety. Together we host local events in Georgia, all designed to help keep you safe.Georgia Auto Accident Attorneys Montlick & Associates' events in partnership with Safe America have included: Free Pre-Holiday Auto Safety Check, SafeTeen Georgia Driving Academy, SafeTeen Georgia Brake Off Contest, and Prom Safety. montlick.com Montlick & Associates, Georgia Injury Attorneys, sponsors production of anti-bullying music video that has gone viral and been seen in 130 countries, as part of its commitment to help stop bullying.Montlick & Associates is the founding sponsor of a National Anti-Bullying organization, the Ambassador for Kids Club, in partnership with Children Without a Voice USA. For more information visit Montlick.com/a4k Montlick & Associates, Georgia Accident Attorney's Help Keep Kids Safe program was started in 1986 to help families prevent the leading causes of childhood injuries and death. HelpKeepKidsSafe.orgOver 100,000 people have attended Montlick & Associates' Help Keep Kids Safe events in Georgia, and the firm has aired 1,000's of safety tip messages on television. For more information visit Montlick.com. As part of its ongoing efforts to support our troops, Georgia Injury Attorneys Montlick & Associates honors our nation's finest each Veteran's Day with special tribute television messages Georgia Personal Injury Attorneys Montlick & Associates has been helping families get the compensation they deserve since 1984.Montlick & Associates are the best known personal injury attorneys in Georgia, not only for their legal work, but for their extensive public service programs that help families prevent injuries. Montlick & Associates, Georgia Accident Attorneys, was named the Most Patriotic Business of 2011 by the Assoc. of the US Army for its extensive efforts to support our troops and their families.Montlick & Associates has aired thousands of tribute to the troops television messages throughout Georgia, in addition to its other efforts to support our nation's finest and their families. montlick.com/SupportingOurTroops Copy of Georgia House of Representatives Resolution 394 honoring Montlick & Associates, Georgia Personal Injury Attorneys, for exemplary service to Georgia Families for 30 years.